With the 2017 edition of Rogers Cup presented by National Bank just around the corner, it’s time to start saving room for all the delicious food and drinks featured at this year’s tournament. No matter what the craving, be it a gourmet burger, poke bowl, brisket parfait, quinoa salad, or loaded hot dog – there’s something for everybody to munch on between matches. Fans who have worked up an appetite walking around the grounds will slam the brakes when they reach the south end of the site. Parked directly outside the National Bank Grand Stand Courts, guests will find the Great Canadian Food Truck and TaCool Taco Truck. Get your hands on a delicious grilled cheese at the Great Canadian, or make any day a fiesta with tacos, burritos, and nachos from TaCool Taco Truck. Either option is the perfect grab-and-go meal to pick up before taking in some quality tennis. For those who don’t want to miss a second of the action on Centre Court, they can rest assured that they catch every point. In-seat service brings your order right to you – just with a few clicks in the Rogers Cup app. Rogers Cup is the first tennis tournament to offer such service to its entire stadium, as a simplified menu of food and beverages will be available to the entire Aviva Centre bowl via the app. 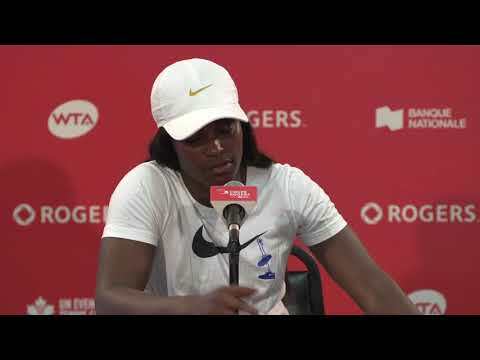 It’s not just the best of the WTA tour who will be in the spotlight this year at Rogers Cup. Three world-renowned chefs will serve up some delicious food and combine with a tennis star in various appearances throughout the week. From Food Network’s Dolce Vita, David Rocco will give a cooking demonstration on Monday, August 7. Catch Buca’s Rob Gentile on Tuesday, August 8. Last but not least, Afrim Pristine of Cheese Boutique will entertain on Wednesday, August 9. Enjoy a night cap on one of several patio bars throughout the ground and unwind after a full day at the tournament. 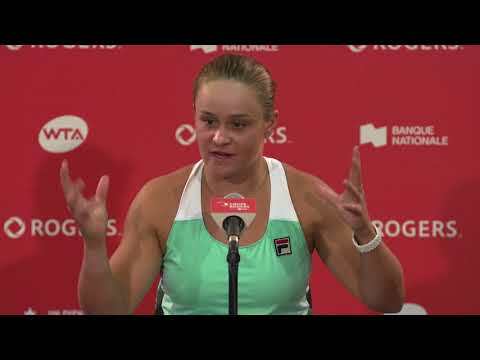 And when it’s time to go home, bring a piece of Rogers Cup with you. Keepsake glasses are yours to keep with the purchase of one of two new signature cocktails. Cool off with Lemoni Peroni, sold at the House of Peroni patio, and Aperol Spritz, to be made available at a few different locations. There are many other amazing food and beverage options to discover – it’s never too early to start planning your trip to Rogers Cup. Visit the Food & Drink page to browse the full selection, with options for everybody! Read descriptions, see mouth-watering photos, and be sure to check the schedule so you don’t miss any of the action at this year’s Rogers Cup presented by National Bank.